Aria was published by Harcourt in 2007 and 5 Foreign Presses (in Dutch, Persian, Portuguese, Slovene, and Taiwanese). It is currently out of print, but available digitally, on Amazon, and in libraries. Audiobook is available via Audible and ITunes. Click here for a reader's guide with discussion questions and answers. Click here for references related to themes in Aria (grief, death of a child and spouse, dwarfs, epistolary prose, mother-daughter relations, Tibet, Iran). From Rory Stewart, author of The Places In Between and The Prince of the Marshes: "A haunting book, painfully open in its emotions, enacting in lyrical prose, an Iranian-American's loss, atonement and reconciliation with Iran and powerfully revealing of the discordancies and echoes that define the interaction between American and Persian culture." From Rebecca Brown, author of ten books including The Gifts of the Body, The Last Time I Saw You, and Excerpts from a Family Medical Dictionary: "How long does grief last? How far away can we run to try to get away from it? What happens if it stays with us forever? In this wise and compassionate debut novel, Nassim Assefi looks at questions of memory, love and grief as she takes us to Tibet, China, Guatemela, her homeland Iran and, most importantly, the human heart." 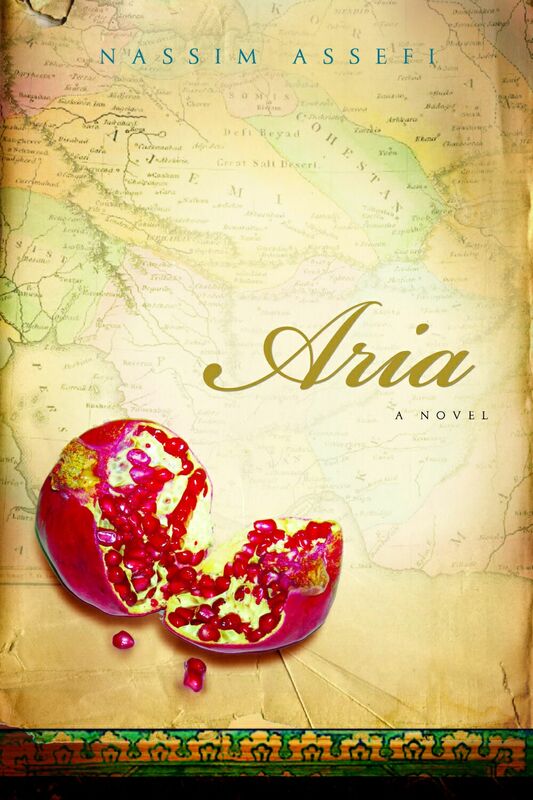 Review from John Marshall, book critic of the Seattle Post Intelligencer: Aria "beguiles with its honesty, humanity, empathy and insight... a small gem of a debut novel that manages to address huge issues in an affecting manner, from the immigrant experience in America to the aftershocks of tragedy to the search for family heritage and spiritual comfort." Read the entire review. Review from Bharti Kirchner of the Seattle Times: "It is the charm, intelligence and dignity of Assefi's writing that make this a worthwhile read." Review from Lindsey Rowe of Seattle Magazine: "Assefi's writing is packed with potent emotion and poetic sentences...Aria is an excellent first novel and a worthy treatise on grief." Review from Bob Willliams of the Compulsive Reader Book Blog: "There is much of talent in this remarkable book. It is a serious meditation on the greatest misfortune in life and an interesting display of the growth of the persons involved. It gains a certain topicality in the abundance of material from a part of the world little known or understood. Thus Aria stands out as notable achievement and should appeal to many discriminating readers." From the Rabbi Michael Goldberg, PhD, hospice chaplain, university professor, author: "Aria is without doubt one of the most realistic accounts of grieving I have read, and certainly, the most exquisitely literate."